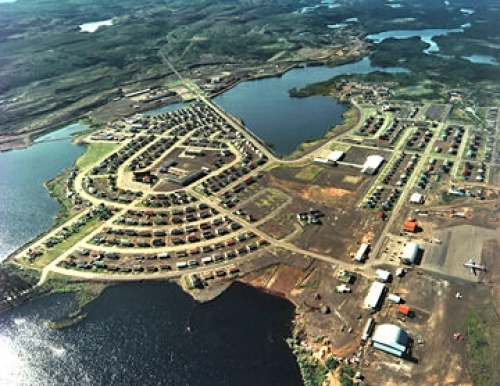 The town of Schefferville, Quebec is located approximately 2 km from the Labrador border on the north shore of Knob Lake. The town was established by the Iron Ore Company of Canada (IOC) in 1954 to support mining operations in the area. LIM has benefited from existing and extensive infrastructure, the majority of which are in sound operational condition, which has provided us with a strong competitive advantage and low risk start-up. This also reduces the impact on both the physical and social environments as erection of new buildings and facilities are kept to a minimum. an airstrip, which has daily flights from Montreal, Quebec City and Sept-Iles. The only means to transport iron ore from the Schefferville area to the Port of Sept-Iles is by railway. 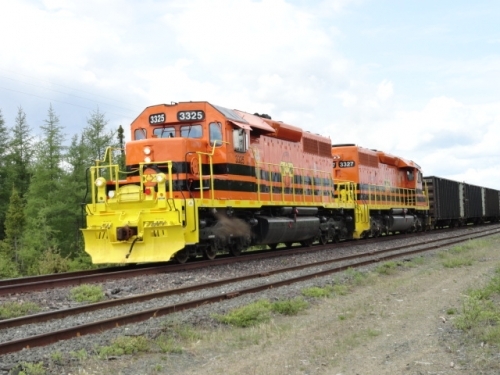 Currently, LIM is transporting its iron ore product on an existing 565 km railway between Schefferville and Sept-Iles. Comprising of two sections, this railway was originally constructed by IOC for its shipment of iron ore and has been in continuous operation for 50 years. 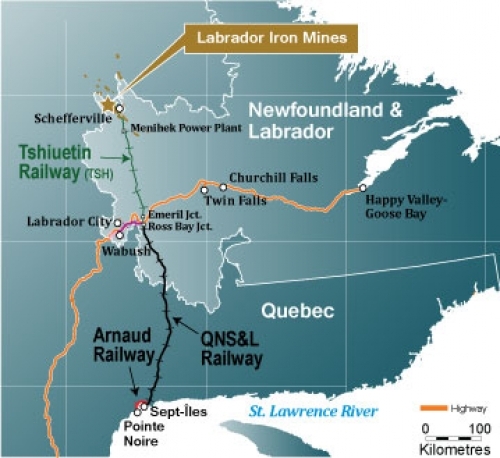 On the northern section of the railway from Schefferville to Emeril Junction (approximately 205 km), LIM's iron ore is transported via the Company's six km spur line, which connects to the Tshiuetin Rail Transportation Inc. (TSH) railway. The TSH railway is owned and operated by a consortium of three local Aboriginal First Nations. The locomotives are provided to LIM and maintained by Western Labrador Rail Services (a division of Genesee and Wyoming Inc.) and are operated on the TSH railway by TSH. From Emeril Junction, LIM's iron ore is transported by Quebec North Shore and Labrador Railway Company Inc. (QNS&L), a wholly-owned subsidiary of IOC, on the QNS&L Railway (approximately 360 km). The locomotives are supplied and operated by QNS&L. LIM has life-of-mine rail agreements with both the TSH and QNS&L Railways. LIM has established its Centre Ferro maintenance and repair facility in Sept-Iles, which operates on a full-time basis to maintain its fleet of railcars. The Port of Sept-Iles is an international year-round marine harbour situated 650 km down river from Quebec City on the north shore of the Gulf of St. Lawrence on the Atlantic Ocean. Serving the Quebec and Labrador mining industry, it is the most important port for the shipment of iron ore in North America. Each year, approximately 23 million tonnes of merchandise, mainly iron ore, is handled, approximately 80% of which is destined for international markets. 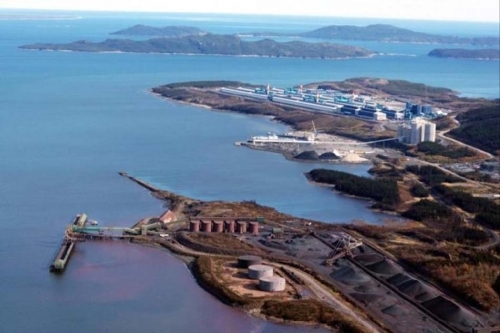 In July 2012, LIM agreed to participate with the Sept-Iles Port Authority in the development of the new multi-user dock at Pointe-Noire in the Port of Sept-Iles and has reserved an annual capacity of 5 million tonnes of iron ore with a right to secure additional residual capacity. 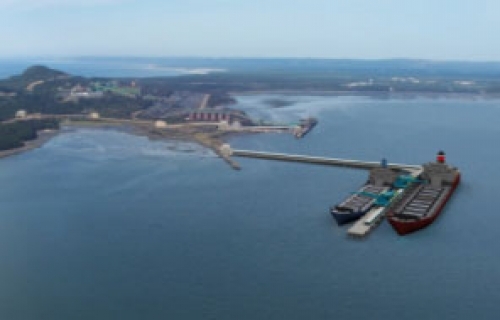 The $220 million project, proposed and sponsored by the Sept-Iles Port Authority, is planning for two berths, dedicated exclusively to iron ore shipments, equipped with two ship loaders as well as two conveyer lines, with an annual capacity of 50 million tonnes per year, which the Port expects to be completed in the summer of 2015. 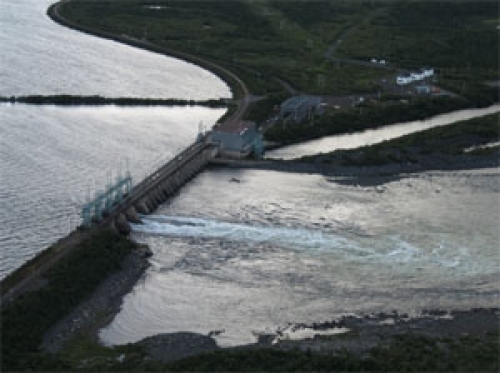 In February 2012, the Government of Canada announced that it will invest up to $55 million and contribute to the construction of a new multi-user deep water dock at Pointe-Noire in the Port of Sept-Iles dedicated exclusively to iron ore shipments.